The March 6th Primary election will see a large number of candidates competing for open Congressional seats. In Texas alone, eight seats are open, and the ones of most interest in this area area TX29, Gene Green’s seat, and TX2, Ted Poe’s seat. Green is a Democrat, but seven Democrats and four Republicans will be on the ballot in March for this position. Poe is a Republican, and nine Republicans and five Democrats will try to win a spot on the November general election for this posotion. Also contested in the primary and general election will be Senator Ted Cruz, up for re-election after his first six year term. He is opposed by four Republicans, and three Democrats including front-runner Beto O’Rourke from El Paso. These elections have national significance, as the House and Senate could lose their Republican majorities in November. 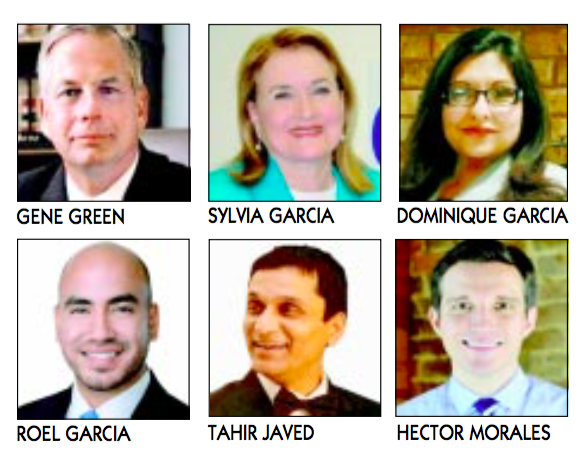 Another interesting Texas race is the governor, where 10 Democrats are running in the primary to oppose Governor Greg Abbott, and two Republicans. Because of the large numbers of candidates running in each of these races, it is anticipated that there will be a run-off election in some, which is scheduled for May 22. Pictured is the Aldine ISD Board of Trustees, along with Aldine ISD Superintendent Dr. Wanda Bamberg. January 2018 is School Board Recognition Month—a great time to focus on the crucial role Aldine ISD Trustees play in the community and Aldine schools. Plan now to show AISD school board members you appreciate their dedication and hard work. They are extraordinary people who voluntarily tackle the enormous job of governing Aldine ISD. 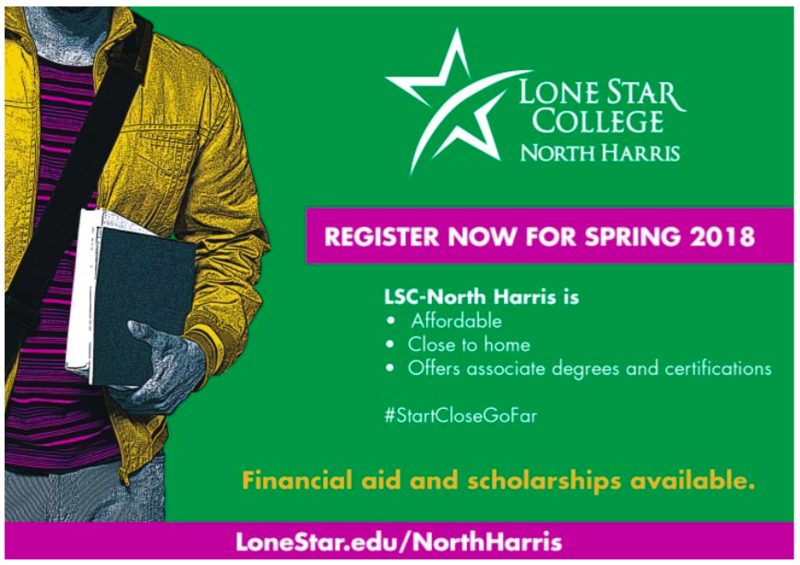 Their actions and decisions affect the present and future lives of Aldine’s children. “Our Board works tirelessly and devotes hundreds of hours to lead our students to success,” said Aldine ISD Superintendent Dr. Wanda Bamberg. “Setting aside time in January is one small way to celebrate their service to our community and say thanks for caring so much about the future of every child in Aldine. 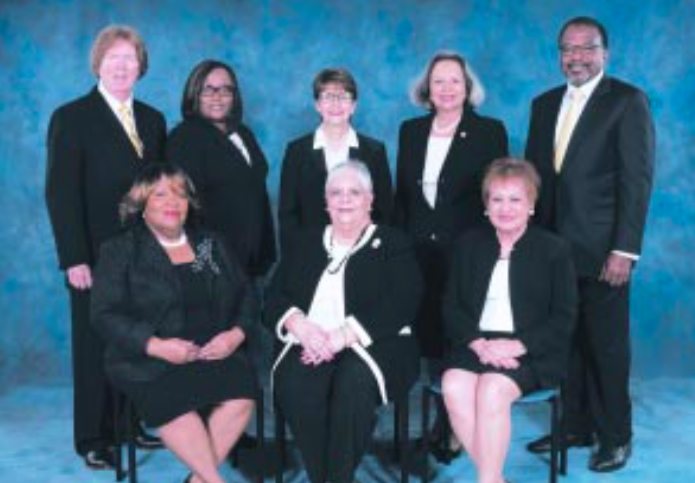 Aldine ISD’s Board of Education consists of President Steve Mead (serving since 2004), Vice President Paul Shanklin (serving since 2014), Secretary Rose Avalos (serving since 2006), Assistant Secretary Connie Esparza (serving since 2017) and Members Dr. Viola M. Garcia (serving since 1992), Patricia Ann Bourgeois (serving since 2014) and Dr. Kimberley Booker (serving since 2017).